Fundamentals of traditional obedience training to back it all up! Also known as an animal communication session, tap into the energy surrounding you and your animal companion to find out the messages he/she wants to share with you. Connections can be made with animal companions that are living or transitioned. The session is conducted over the phone, and you will receive an audio recording of the reading. 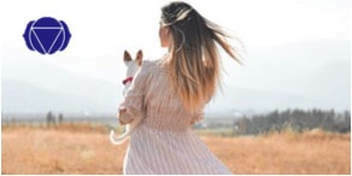 As a thank you to our audience, Denise will also include a numerology reading as part of your session to find out the vibration of your and your pet's names to better understand your pet’s tendencies, role in your life, and the energetic cross-over of the lessons you are here to share. "Your reading was profound and gave me so many tears and so much joy, too. Your information was not only spot on, but continues giving me clarity way beyond and after. Your contribution to my life is priceless, as it is very extraordinary and very unique. I thank you for creating such a beautiful space for the reading and I thank you for sharing so much compassion with very personal and sensitive information. I felt comfortable and safe talking to you. ​You are meant to do this work and help many more to come." "You are an amazing intuitive, with such a huge compassionate heart. My reading today was a huge gift and has helped so much in lifting much of the sadness and helping me understand the transition of my beloved. I'm so looking forward to continue chatting with him and seeing where our work together takes us." FOR BOTH HUMANS AND PETS. AS WELL AS OTHER ENERGETIC ASPECTS TO SUPPORT THE INTEGRATION. DID YOU KNOW THAT A DOG'S ON-LEASH REACTIVITY CAN INDICATE AN IMBALANCE IN THE FIRST CHAKRA FOR PETS AND HUMANS? to bigger energetic patterns in your life. ​On leash reactivity is one of the most common and overwhelming behaviors for pet parents. Learn early signs of stress in your pup and effective energetic & training techniques to help your pup feel safe. ​Setting boundaries for our pets is one of the most loving things we can do to keep them happy and confident. Learn stress management techniques, tools, and troubleshooting to manage separation anxiety. ​Learn how to manage unwanted behaviors like jumping, barking, or nipping. Discover strategies to prevent these behaviors, and how they may be inviting you to manage your own energy and step into your power. 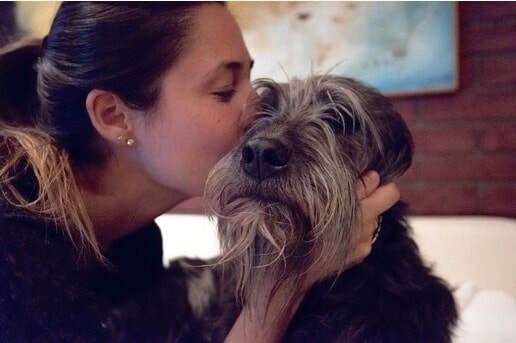 ​When our energetic boundaries are not being properly implemented or restpected, our animal companions may pick up on it and interpret people entering our space as a threat. Learn how to create a positive association to people entering your space with guest desensitization. ​Learn how to leverage positive reinforcement and and your energies to clearly, effectively, and authentically communicate the rules of the pack to your pup. Learn about benevolent leadership, the energy of a leader in nature, as well as do's and don'ts to ensure your pup feels cared for and content. ​Teaching your pup to eliminate in an appropriate place requires patience and a plan. The notion of elimination and housebreaking can also help us be more intentional about what we want to release in our own lives. Explore the multifaceted role you play in your pet’s life and in the universe. Discover how moments of crisis with your pet can serve as an opportunity to reexamine and reaffirm your beliefs and expand. Explore chakra work for both humans and pets while learning the energetic aspects of pet parenting, and a mindful approach to translating and shifting your pet's behavior. "This program has been so helpful in bridging the gap between the more traditional behavioral training I have done and the training I have done on the more energetic side. I love that this program addresses both! What you have developed and incorporated into this program is really amazing and I've seen differences already within my dog and myself." "My pup and I have bonded more during this class. It is as if he knows I am taking this class for him/us and I have seen a change in his personality. He seems much more cuddly and responsive." "Such a sincere and sweet spirit you possess, wise beyond your years. Add to that, the depth of your knowledge and organization of your materials! Unmatched, in my humble opinion, thus far in the classes I have taken over the past few years." "The material is amazing, I love your videos and I especially love the kindness, respect and compassion you have for our pets. What a gift!" "I so appreciate the research and organization you have applied to this class. I was fortunate enough to receive a promotional price, but the value far exceeds the value of the original cost. Also your love and sincere interest in what you do is so clear and authentic." Denise Mange is the founder of Pet Prana and a certified dog trainer, animal communicator, and Reiki 2 practitioner. Denise began her spiritual journey through connecting with animal companions, and believes that our pets truly are experts at providing clues that help us identify stagnant energies and patterns in ourselves.Denise’s proprietary process Translating Beyond BehaviorSM provides a roadmap to how the natural world and your pet’s behaviors can give you specific insight into the shifts that are ready to take place, including limiting beliefs to process and which chakras they affect. 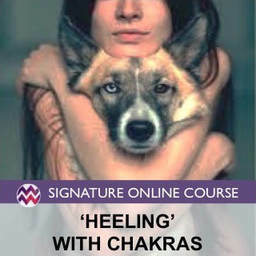 Denise's integrative approach helps foster true partnerships and heart-centered connections that deepen the compassion and understanding of the lessons your animal companions are here to share with you, using methods such as chakra work, animal communication, and pet numerology in conjunction with the fundamentals of traditional obedience training. Think of it as self-help, for Pet's sake! The intuitive aspect of Denise's work is in the energetic realm, and should not be construed as or replace traditional medical, veterinary, psychology or psychotherapy expertise. Consider her your guide to the chakras, mirroring different energies and beliefs, so that together you can explore the impact they may be having on your daily life.